After two weeks of sweltering heat, the last thing I feel like doing is turning on the stove or oven. In fact, doing so seems almost criminal at this point. Luckily, this recipe does not require cooking at all. I'll be honest, the first time I ever made these, they did not turn out. They were soggy and wet and tasted like water. 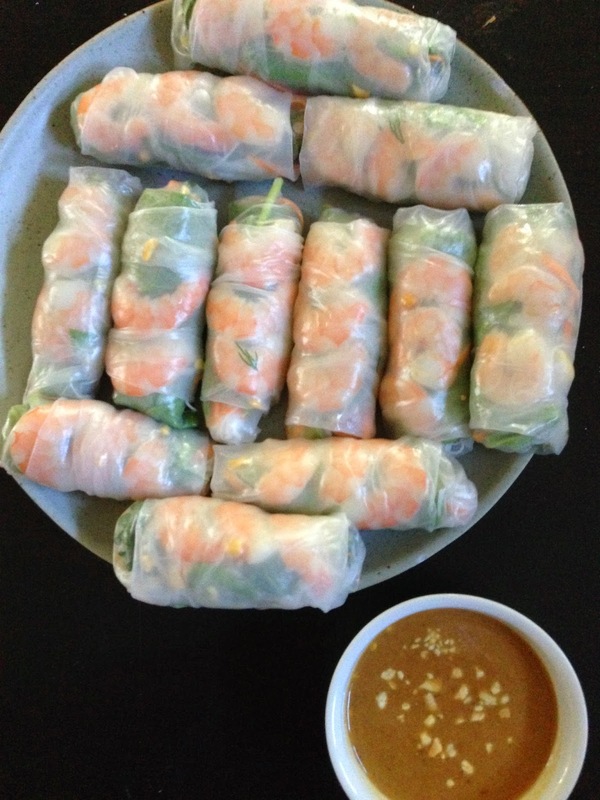 Fortunately, I've worked out all the kinks so that your salad rolls will work out perfectly! These really are a nice light but filling summer treat. 1. 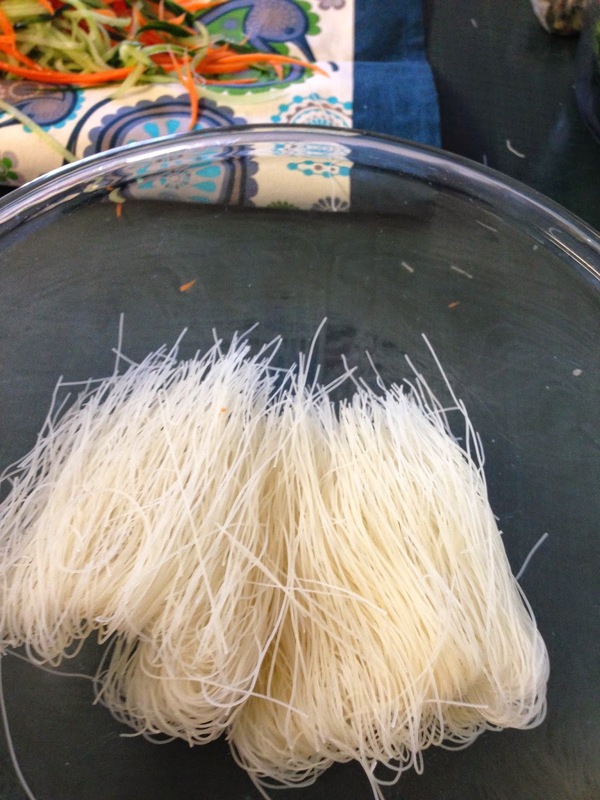 Break the rice noodles in half and place them in a large bowl. Boil a kettle of water and pour the water on top of the noodles. Let them soak for about 3 minutes. Drain and rinse under cold water. Set aside. 2. 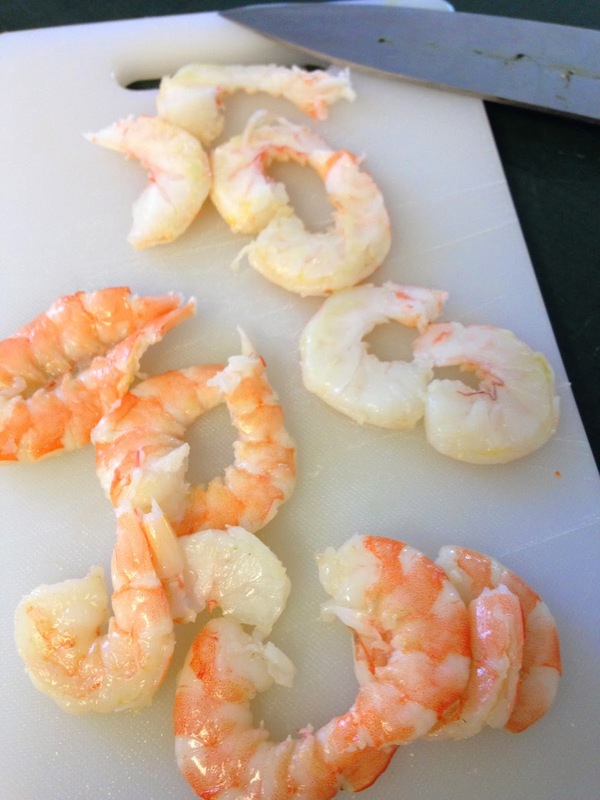 Cut the shrimp in half along their backs so that it looks like there are two. 3. 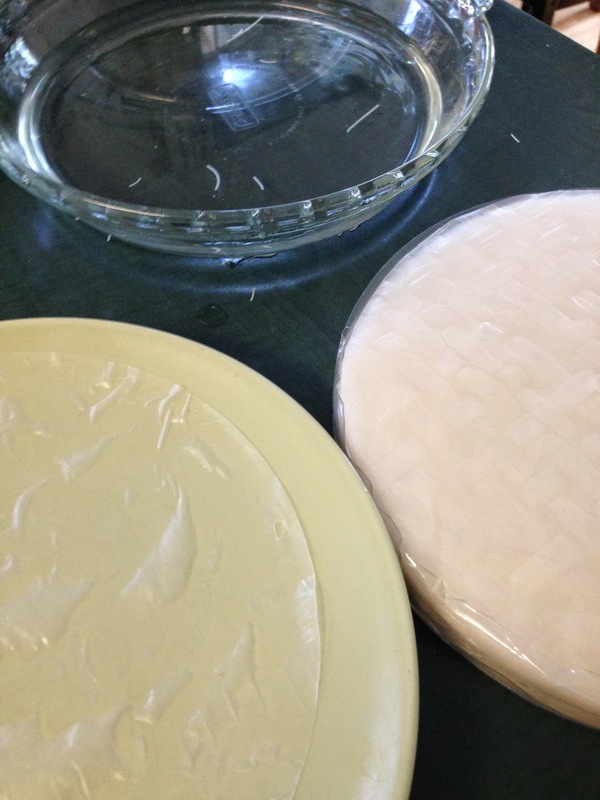 Fill a pie plate with more boiling water from the kettle. Place a rice wrapper in the water for 3 - 5 seconds. It will still be hard when you take it out, that is okay. It will continue to soften. Place the wrapper on a plate. It is now ready to be filled. If you find it sticking to the plate, just put a small amount of water on the plate before you put the wrapper on it. 4. At the bottom of the wrapper, place three shrimp halves. 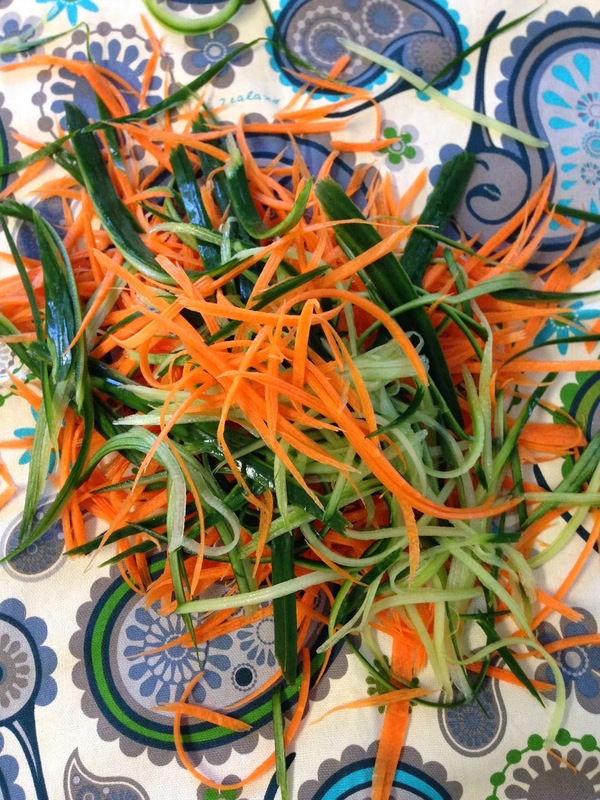 Top with some greens, then the herbs, then the carrot and cucumber, then the vermicelli noodles, and then the chopped peanuts. 5. Roll the two sides over the mixture and then roll it up from the bottom to the top. 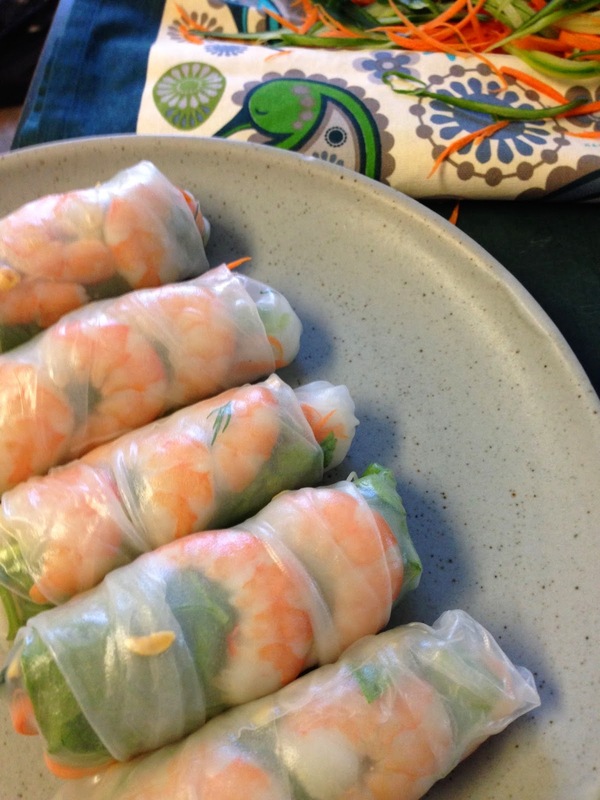 When you are finished rolling, the shrimp should be showing through the bottom. 6. 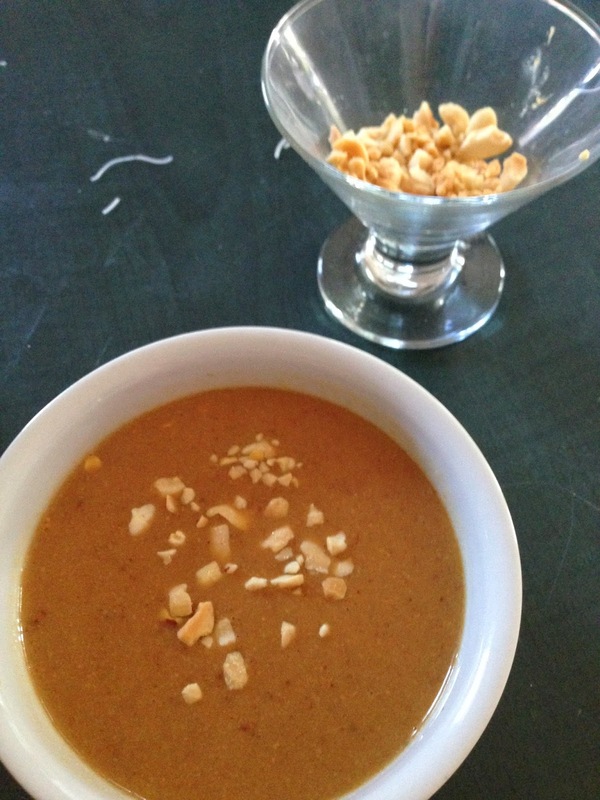 Whisk all the dipping sauce ingredients together and place in a serving dish. 1. 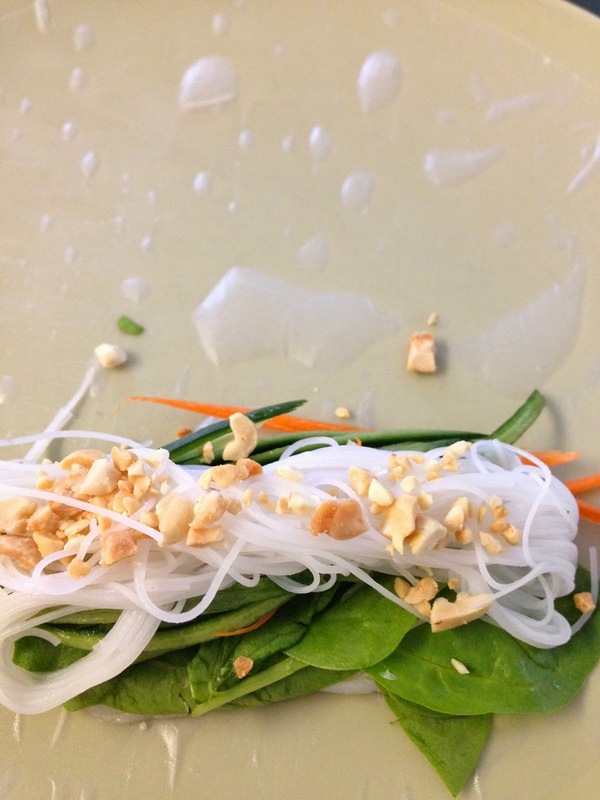 Vermicelli rice noodles and rice wrappers can be found in the Asian aisle of most major grocery stores. The wrappers are dry, they are not the same as wonton wrappers. 2. Cooked shrimp are the pink ones, not the grey ones. i cannot for the life of me get 1 paper to work....i end up double layering so the whole thing 'sticks' together - i love your veg-so nicely chopped! do you use a tool--or hand cut???? I'm glad you like the recipes. I once read that the secret to a great salad roll is to put half as much "stuff" inside as you want to. If one wrapper isn't enough because it tears, make sure it is still a bit stiff when you take it out of the water. 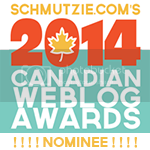 As for the veg, I used a julienne peeler that I recently bought at Canadian Tire. It's a great time-saving tool that looks much like a regular vegetable peeler.